In case you need additional storage space in your home, you may consider renting a storage unit. Storing your items will be a big task. Preparing everything the right way may take up some of your free time. However, if you do, your items will be safe during long periods of time. To provide the best environment for your items, it is essential you keep your storage unit clean. Keep reading and find out why it is important to keep your storage unit clean at all times. You can use our tips to prevent damage and find the best way to keep your belongings safe at all times. Why is it important to keep your storage unit clean? Most of us use storage of some kind. In most cases, we rent a storage unit for keeping items we don’t use often secure. Reliable Queens storage offers numerous options for those belongings that take too much space in our homes. We tend to rent a storage unit while moving or just during one season. Whatever the reason, it is important our belongings are safe while stored. In case you don’t keep your storage unit clean, you may attract insects and rodents. They can damage your belongings. Mold – In case you store foods of any kind in a wrong type of a storage unit, foods will start to spoil causing mold and mildew. On the other hand, if you spill fluids of any kind, you may damage your belongings, and they will mold easily. Sometimes the humidity in the air may cause mold inside a storage unit. To prevent mold appearing in your storage unit, make sure to keep your storage unit clean at all times. Unpleasant smell – can cause real damage to your furniture pieces and clothes. To avoid smells getting to your clothes, make sure to pack your clothes properly and protect your furniture pieces and cousins with multiple layers of packing materials and packing tape. We all try to protect our clothes even when storing items in our home. But when placing our belongings in storage, we must be extra careful and provide additional protection against insects, bugs, and rodents. Avoiding these creatures is the best way to protect your belongings. The best way to do that is to keep your storage unit clean at all times. Insects or any kind – Most storage facilities offer great service and clean spaces for your belongings. However, you should make sure to keep your storage unit clean to prevent various insects from appearing. Insects can cause real damage to your belongings and destroy most items in your storage unit. Not to mention, you can lose your favorite winter clothes in the process. Rodents – are pests that are attracted to food or sweets. Sometimes storage companies prohibit storing similar items. In any case, rodents can nibble their way into your storage boxes and destroy items you store inside. Even if you keep your storage unit clean, consider checking for any pests from time to time. On the other hand, if you need to store food or sweets of any kind consult your storage unit manager. He can give you a recommendation about the best type of a storage unit you can rent. In case you need to store antique furniture, ask your movers for advise on preparing the items properly. Antique furniture – is also sensitive to temperature changes. When packing antique furniture, you should make sure that you use the right type of storage. If temperatures vary in your area, don’t leave your valuable furniture pieces without multiple layers of protection. Foods – foods can create a huge mess if not stored properly. Consider renting a special kind of storage unit if you need to store fresh products. Electronics – usually are quite valuable. If you store them in a unit without climate control, you may cause damage and void your warranty. 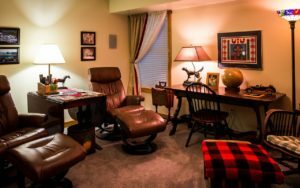 Family photographs and artwork – are extremely sensitive to temperature change. The canvas may shrink or stretch when temperatures change. On the other hand, photographs may turn yellow and lose its shine. Collections of tapes, vinyl records, VHS and CDs – shouldn’t be in your storage unit. They can damage with ease if the temperatures change frequently. Toxic chemicals and hazardous items – are usually forbidden to store inside a storage unit. Those items can cause a fire if the temperatures rise. If you need to store special types of items like these, consult your storage professional for the best solution. How to properly prepare your items for storage? Quality moving companies usually offer storage services. Professional movers can pack your belongings using professional packing materials and prepare your belongings for storage. In case you need to pack your own belongings for storage, make sure you rent plastic moving boxes NYC. Packing your items in plastic containers will prevent mold causing damage. On the other hand, when using plastic containers, you don’t have to install so many shelves to move your boxes off the ground. Make sure to pack your belongings for storage using the best packing materials for protection. 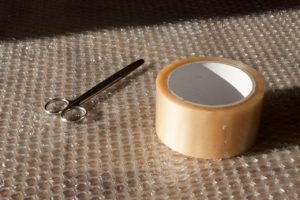 When preparing your belongings for storage, consider using the best packing materials you can find. Make sure to keep your storage unit clean while packing your items and clean each piece before packing. Consider wrapping sensitive items in various layers of packing materials to prevent damage of any kind.